Feather articles and prepared feathers falls under HSN code chapter 67 of GST commodity tariff schedule. The details about GST rate changes for sale of Feather articles and prepared feathers are being updated here. The notification changes on exemptions for GST for sale of Feather articles and prepared feathers and other circulars related to GST for Feather articles and prepared feathers are updated in this website. 1. 6702 Artificial flowers, foliage and fruit and parts thereof; articles made of artificial flowers, foliage or fruit. 2. 6703 Human hair, dressed, thinned, bleached or otherwise worked; wool or other animal hair or other textile materials, prepared for use in making wigs or the like. 3. 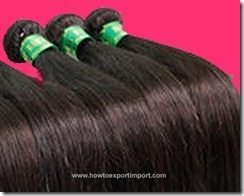 6704 Wigs, false beards, eyebrows and eyelashes, switches and the like, of human or animal hair or of textile materials; articles of human hair not elsewhere specified or included. In India, GST is payable for Feather articles and prepared feathers. However, some of the categories of business under HSN code 67 are expected to be exempted from paying GST. The list of exempted categories of business and exempted products and services under GST is expected to be released soon. What is the GST rate on bird’s feathers? How much GST on worked quills?